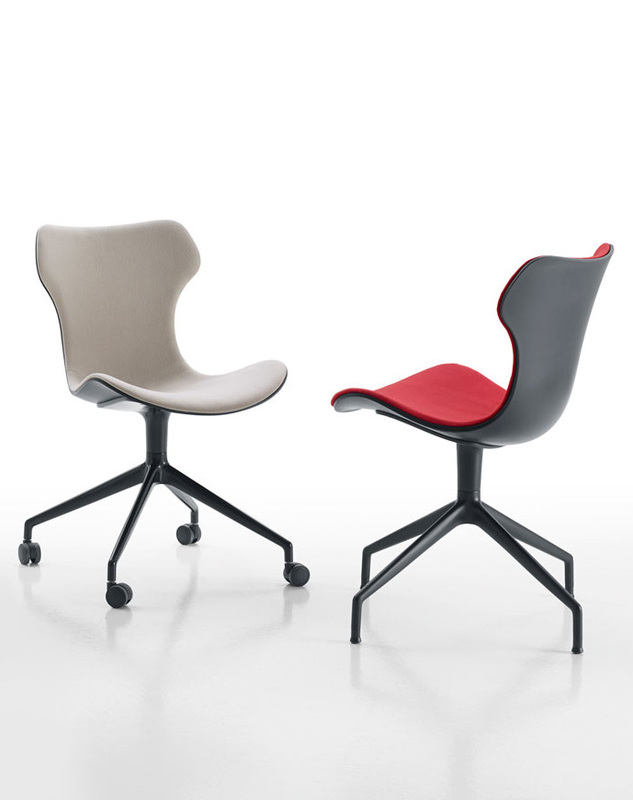 The Papilio Shell Desk Chair from B&B Italia, designed by Naoto Fukasawa. Available in two versions: with polypropylene shell in three colours (White, Grey and Black) or padded and upholstered in a wide range of fabrics and leathers. The aluminium four-spoked, with or without wheels, gives the chair a more technical look.